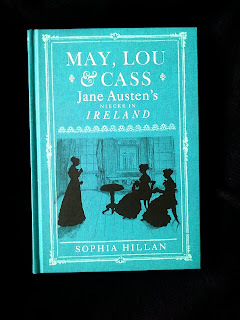 'May, Lou and Cass - Jane Austen's Nieces in Ireland', by Sopha Hillan, is an extraordinary book about one of the world's favourite authors and her connection with Ireland, generally, and Donegal, specifically. This book charts the life of Jane Austen and her association with the Knight family, her brother's children. Of course, these children should have inherited the famous 'Austen' surname, were it not for the fact that Jane's elder brother, Edward, was adopted by wealthy cousins who had no child of their own to inherit their fortune and large estate at Godmersham in Hampshire. A stipulation of the inheritance agreement required that Edward take the name of Knight for his own, which he duly did. This book follows the lives of the Knight children, some of whom were very close to their spinster aunt who lived near their large house at Chawton. Jane was often called upon to help care for the large number of Knight nieces and nephews, when their mother was expecting a child, for example, but especially when Mrs Knight died suddenly and unexpectedly, just weeks after having given birth to her last baby. Jane's letters to her relatives reveal a great deal to us about her, her letters to her eldest niece Fanny especially. However, what I found most interesting about this book was the uncanny way that the plot lines of Jane Austen's novels mirrored, so exactly, the future lives of her relatives, particularly those of her nieces, Marianne, Cassandra and Louisa Knight. Indeed, because their aunt was long dead when some of these events occurred, one might be forgiven for surmising that Austen was some kind of clairvoyant. But I think not; it is just a case of life imitating art and uncannily so. Like Anne Elliot, one niece falls in love and becomes engaged, only to face serious censure from her family and that of her beloved. The engagement is terminated, then unexpectedly rekindled, eight years later, just as she is preparing to marry another man. The similarity to her Austen's novel, 'Persuasion', is unmistakable. Then there is the secret elopement, in the style of Lydia Bennet, but this time the marriage does indeed take place in Gretna Green. The similarities are considerable, and are cleverly detailed by Sophia Hillan. Again and again, she finds parallels between Austen's novels and the lives of her extended family, much to the delight of her readers. 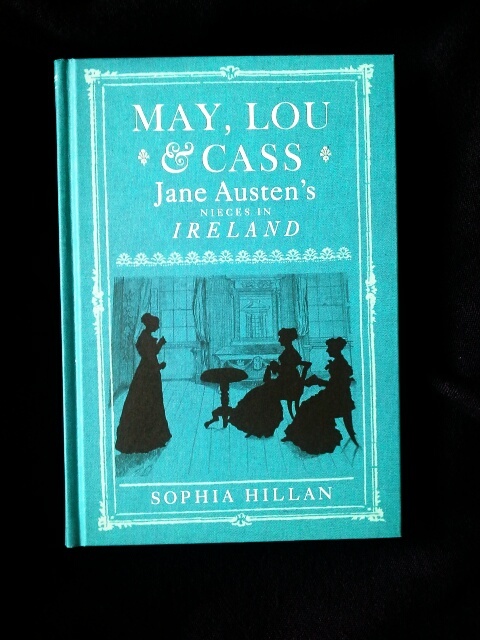 Hillan also tells the story in chapters, each one beginning with a scene from an Austen novel, which perfectly reflects the theme of the chapter. In this way, the text is very focused, yet feels not like a work of non-fiction at all, but something akin to a novel itself. Character after character is shown to have lead a life stranger than fiction, making this book very difficult to put down. Anyone who I have spoken to about this book has said that they read the book in only a couple of days, and I found that I too read it continuously. For me, the sections that dealt with Donegal were particularly interesting, especially since I was visiting in that part of Ireland at the time, which really brought the book to life in my imagination. 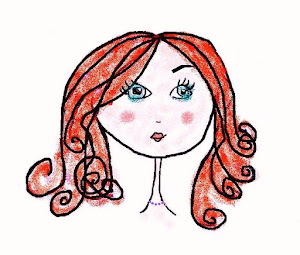 As an Irish woman, I was very surprised to learn that three of Austen's nieces came to live and be buried in County Donegal, with a grand-niece being born there in fact, who was fluent in Irish and was very much involved with the local community. This text is full of historical references and facts, and must be applauded for its attention to detail. However, one need not have an knowledge of Irish history to understand the cultural context of the book, as Hillan expertly fills in much of the necessary background information on the period for her readers. Jane Austen herself famously fell in love with a young Irish man who later left England, to settle in Ireland and became Lord Chief Justice of Ireland. Whether or not he left her with a good impression of the Irish, we will never know, but she did once famously warn her niece, who was writing a novel of her own, to beware of writing about life in Ireland,especially when one did not know what style of manners they had there. Regardless, it is clear that her nieces adapted to their lives in Donegal and brought something of the Austen refinement and sensitivity with them when they came. If you like Jane Austen, and are interested in the strange lives of those long gone, I urge you to read this book. It will have you amazed and bemused at the strangeness and sometimes cruelty of life, and more than anything, it will make you realise how grateful we, as women, should be to live in this century, with the power to determine how and where we live, whom we love and marry, and how we earn our own living. Times have certainly changed since Jane Austen and her nieces were alive, and I believe all would be glad to learn of how life has changed for many women in today's world, and thankfully much for the better.